Nowadays, popular web services support quick social login and registration. Your website needs to create private project application to get ID key and secret code for social networks interaction. You need a Linkedin account before going to https://developer.linkedin.com -> My Apps. After signing in your account, click Add New Application. 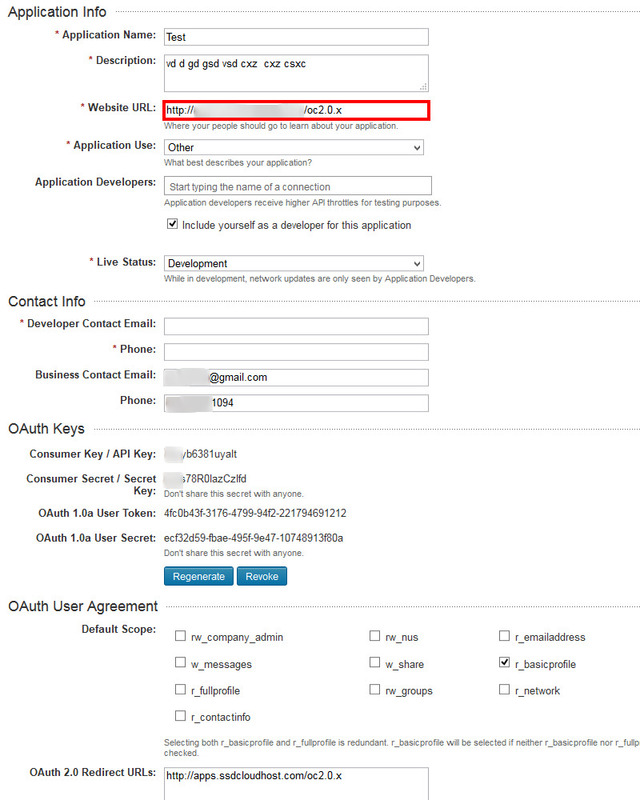 Fill application form and go to OAuth Keys and get consumer key and consumer secret. Now you you can get Consumer key and Consumer secret for your purposes. Subscribe to our newsletters and stay informed of new releases, updated extensions, specials etc.